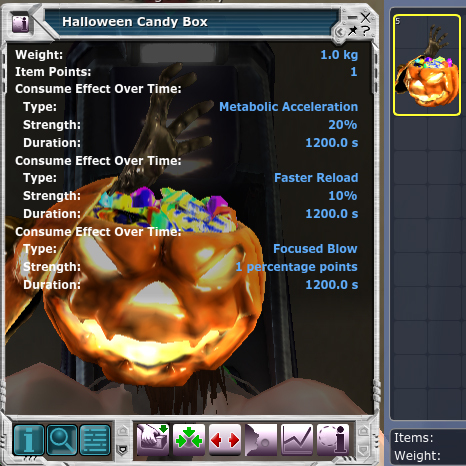 New VU and Merry Halloween and Halloween Gift (1 week to late). Merry Halloween has NO Mission broker, you have just to enter the instances which fits for your level. but at thispoint this NPC is broken and need to be fixed my MA. consumeable booster item for 20 minutes , you got 5 doses of them when you enter calypso. Its very funny to see how MA acidify us backwards the nice things they give us, LOL. not everyone is a hunter who has use for this, but some people would pay a nice price for this boosters. Mission Tokens need be traded for combat tokens , best place for this is “new” cape corinth. Daily Mission tokens are only get in daily missions and are NOT TRADEABLE. Daily-mission Terminals are located almost everywhere. in twin peaks are 2 terminal (outisde storage and balcony). lately i got many crashes / DC’s and aswell few bugs appeared. But all a round less worse then last Version Update. Usually the kiddies say Trick or treat at this point. All nice things are in the end a fail thing for many people and its loosing fun. Its really disappointing to see a Halloween Gift which is only good for 1 profession and not tradeable and all miners and crafters go away empty handed.